What can Massage Therapy Really do for your Back Pain? If done correctly, massage therapy can work wonders for people with back pain. It may not always be the best choice, and it may not work for everyone. But most people will get great results if the massage therapist has a good understanding of the human body, muscle imbalances, and how to work with them. A word of caution: Massage therapy should never be considered a substitute for proper medical attention. As a massage therapist for the past 10 years, I have watched massage therapy grow in popularity and credibility to the point where the practice is now commonplace for those who suffer from back pain. There is no denying the positive effects massage can have on the body. Most massage therapists use a variety of techniques during a session, such as energy techniques and stretching, along with traditional massage. The Touch Research Institute at the University of Miami has coordinated over 100 studies that document the therapeutic effects of massage. One study on massage and back pain found that massage decreased back pain and depression while also improving sleep and range of motion for most joints. As in many other professions, there are varying degrees of training and qualifications a massage therapist can have. It is up to you to find one who is trained in techniques that actually address issues of back pain. Some of the more popular styles of massage for back pain are: orthopedic massage, medical massage, and something called St. John’s Technique. It would also be a good idea to look for a massage therapist who has comprehensive knowledge of muscle imbalances relating to back pain. Good luck finding one, because they are rare. How does massage therapy provide relief? You probably have heard that massage improves circulation, right? But exactly what does that mean? Well, throughout our bodies we have a clear fluid that circulates around the body tissues called “lymph.” At the same time, we may have inflammation, which is an immune response to injury or infection that causes pain, redness, heat, and swelling in the affected area – in our muscles, around our muscles, even in our joints. When lymph and inflammation start to accumulate in the body, the excess fluid will put pressure on blood vessels and our circulation will decrease, limiting blood flow to that area. As the pressure increases, it irritates the nerves, which will cause you to have pain. By helping the body remove excess lymph and inflammation, massage therapy can make your blood flow better, which will reduce the pressure that is irritating the nerves and get rid of your pain. And as if that were not enough, massage provides a number of other benefits: relaxing the muscles, improved range of motion, improved sleep, and increased production of endorphins, which will improve your mood. Is it any wonder you feel like a million bucks after a massage? Is massage all you need to get relief? As helpful as it is, massage has a very limited scope and cannot fully address your condition. It’s great for removing inflammation and providing relaxation, but back pain is a physical condition that requires a physical solution. Sure, a massage therapist may stretch your body a little. But that’s not a substitute for identifying muscle imbalances and postural dysfunctions and then developing a very specific and very targeted action plan to correct them and restore the body’s harmony. If massage is part of an overall plan that includes working with a trained expert in muscle imbalances and postural dysfunctions, then you may be on to something. Unfortunately, most people don’t go this route. In my opinion, the ones who do will get the best and fastest results. Is massage right for everyone? Of course not. There are a number reasons why massage might not be right for you. Please review this list as you consider massage as an option. All massage sessions are one-on-one, which gives you the opportunity to converse with the therapist as well as get the personal attention you need to get results. You can ask questions about how you compare with other people. Feel free to ask the therapist what approach he or she will be taking so you know what to expect. The massage therapist has many different techniques to use to deal with your back pain, and some are better than others. Be aware that sometimes a massage therapist can get distracted with other problem areas. It is in your best interest to keep the therapist focused on your back and associated ailments. You may need to try several different therapists before finding the one that works best for you – and with you. Did you know that in just minutes you can locate and self treat your trigger points? 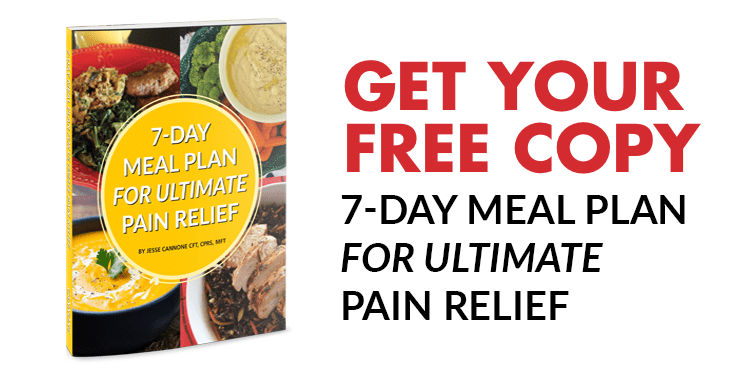 It’s true… you can get quick and lasting relief from all types of pain by using these simple self treatment techniques.